The gallery is complete with interiors and decors, much like a modern house, except they're upside down! Don't forget to book your tickets early – the place gets easily crowded with locals and tourists! The gallery staff helped us to pose and took for us some whacky flying-in-air photos. We were out in about an hour. 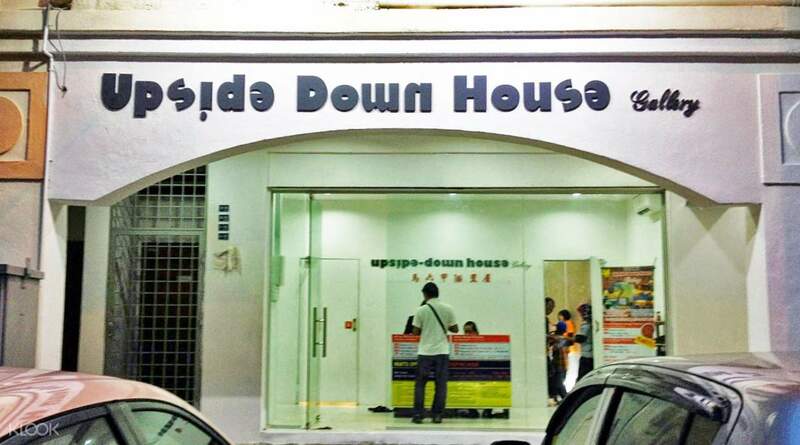 Step into the crazy side of Melaka and turn your world upside down for a good laugh with your friends and family at the Upside Down House Gallery! 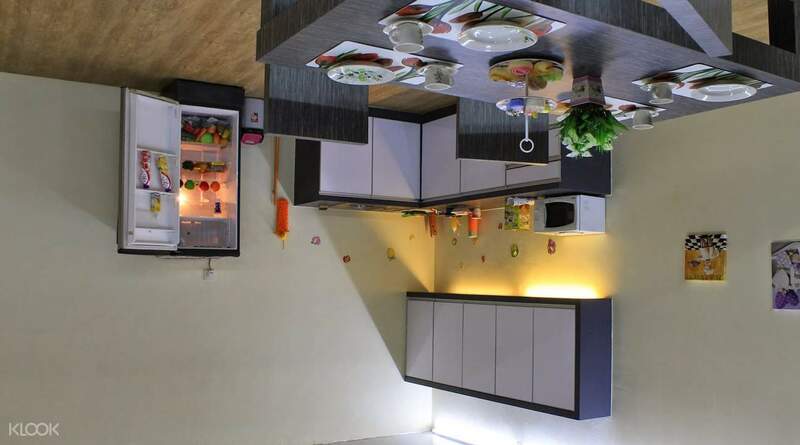 Modeled after the archetypal Malaysian house, the exhibition is divided into 5 sections – living room, kitchen, kids' room, master bedroom, and bathroom. 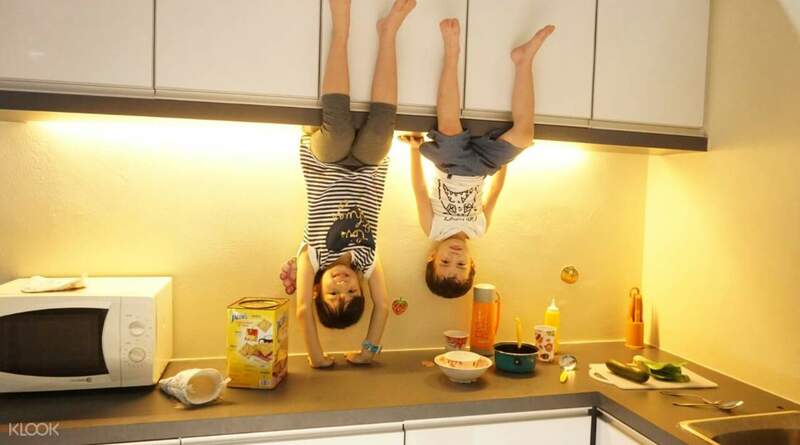 All are well-furbished with home interiors and decorations, except they're designated in their usual places upside down! Make the most out of your experience in this unique space and be sure to strike some wacky poses! Don't hesitate to ask any member of the staff, they might even suggest some funny ideas for your snaps! 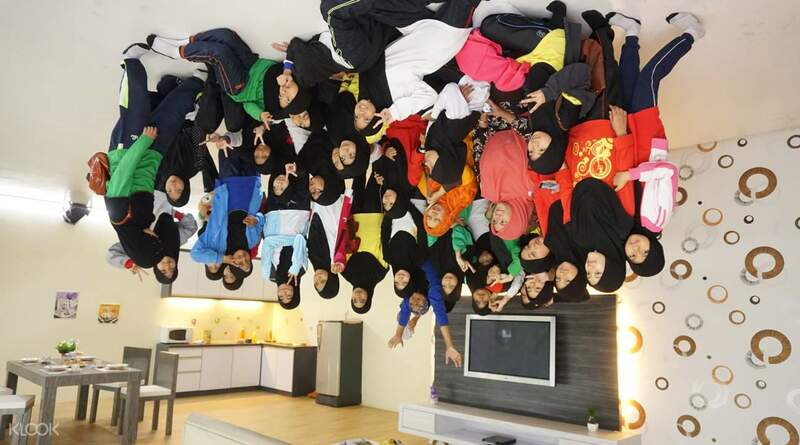 Everything is upside down on this side of Melaka! Get to see more of Melaka's gimmicks with a remarkable visit at the Upside Down House Gallery today! Its really nice n creativity house, and very friendly and helping staff to viewer. our family all the members really enjoyed all the times. Its really nice n creativity house, and very friendly and helping staff to viewer. our family all the members really enjoyed all the times. this is good place to visit if you decided to visit the Malacca. it's a good place to take a picture and selfie. very nice place. the staff is very helpful and friendly and they will serve you very well. everything is ok about this place except 2 things: 1. the place is small and limited space. 2. I think the ticket price is overprice. shou be lower compare with their space. anyway thanks to klook due to give me cheaper price than the ticket counter. this is good place to visit if you decided to visit the Malacca. it's a good place to take a picture and selfie. very nice place. the staff is very helpful and friendly and they will serve you very well. everything is ok about this place except 2 things: 1. the place is small and limited space. 2. I think the ticket price is overprice. shou be lower compare with their space. anyway thanks to klook due to give me cheaper price than the ticket counter. It was a really fun and interesting experience which i am happy that i decided to go. Kudos for Klook for offering the admission tickets much cheaper than the walk-in rate! It was a really fun and interesting experience which i am happy that i decided to go. Kudos for Klook for offering the admission tickets much cheaper than the walk-in rate! It was a good experience to be able to take photos for memories going to malacca. It was simple but yet good for photo taking. Getting tips from staffs to take good photos. Some even help to take for you. It was a good experience to be able to take photos for memories going to malacca. It was simple but yet good for photo taking. Getting tips from staffs to take good photos. Some even help to take for you. Very interesting place, my daughter had great time to get her picture taken. Staffs are very helpful. Very interesting place, my daughter had great time to get her picture taken. Staffs are very helpful. The gallery staff helped us to pose and took for us some whacky flying-in-air photos. We were out in about an hour. The gallery staff helped us to pose and took for us some whacky flying-in-air photos. We were out in about an hour. the house was empty but staff was very friendly. the inside was colourful and bright. the house was empty but staff was very friendly. the inside was colourful and bright. I hope they can improve on their lighting bcs it is quite dull & also some of the staff (not all) were not that friendly but after all it was such a good experience! I hope they can improve on their lighting bcs it is quite dull & also some of the staff (not all) were not that friendly but after all it was such a good experience!